It’s Thursday time for another throwback and I don’t even know how long ago this paper pack has been in my stash, but I will tell you – it must have been a favorite because it was barely used. I paired the Jubilee paper with a large flower from the Girls Rock stamp set (also retired) for a fun birthday card. 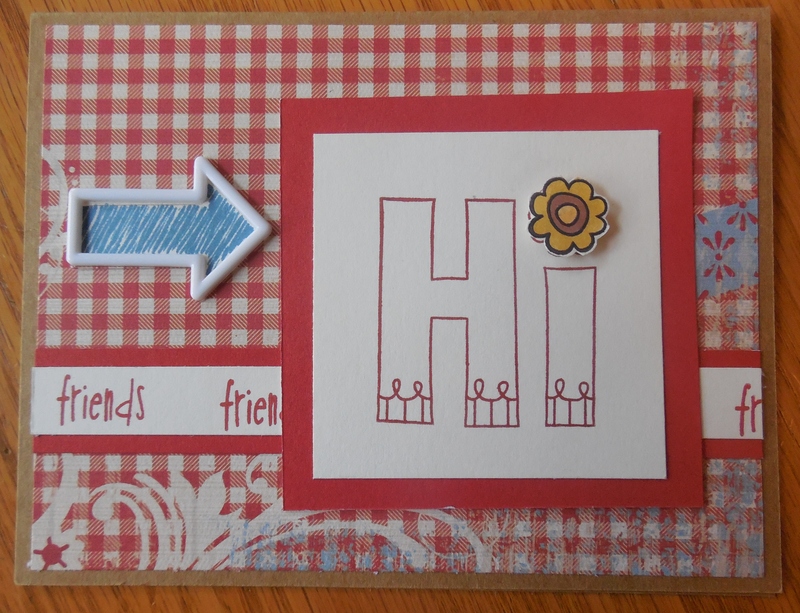 I thought the Blue Burlap ribbon would be a fun accent to this very country themed card. I wasn’t able to completely bust this stash of paper, but it’s fresh in my memory and will probably get used for some scrapbook pages soon! Mmmmm, what’s this about the letter M? If you have just hopped onto my blog, please start at the beginning at Linda’s blog ~ Scrappy Therapy. 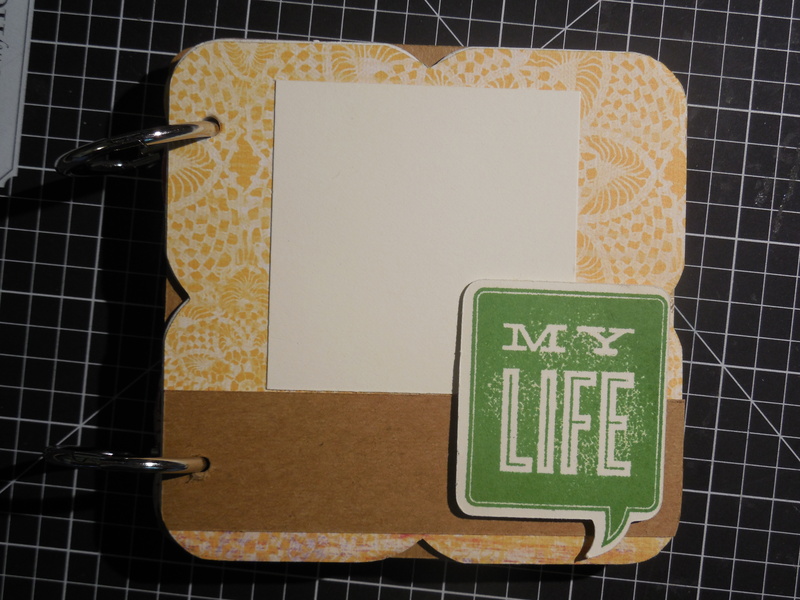 If you came from Lauren’s blog CTMH Craftings then you’re on the right track! 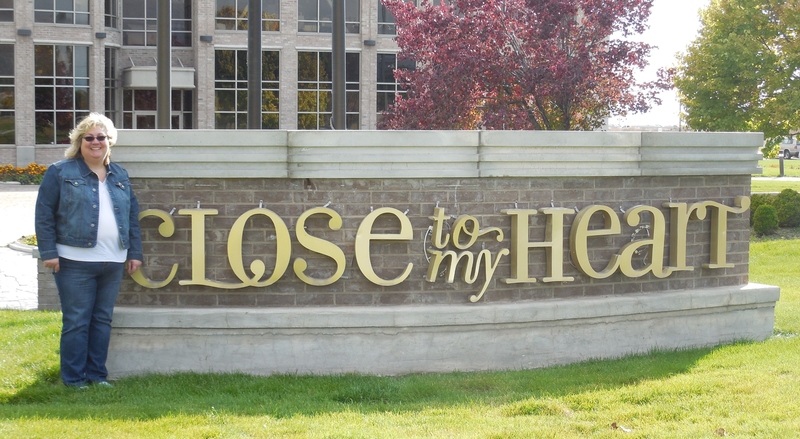 I couldn’t decide which “M” I wanted to use so I used two! 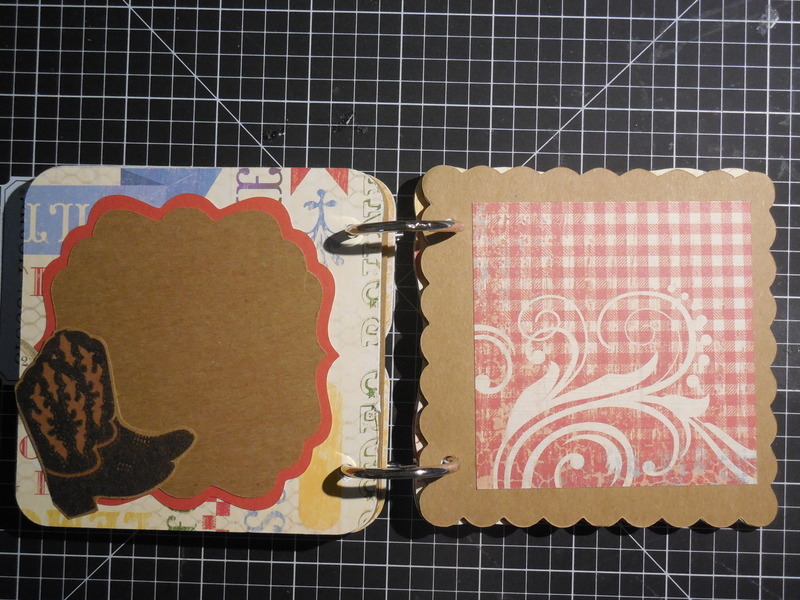 My card base is Kraft cardstock layered with the Jubilee Papers. As a farm girl I have found so many uses for this paper! I stamped the “HI” from the “M” sized collection of stamps. These stamps may be mini in size, but they pack a BIG punch and I find myself reaching for them often. I actually stamped it twice – once in cranberry ink which I used as my image and once in black as I wanted to color in the flower and pop dot it with 3D Foam Tape. I then stamped the arrow from the hostess exclusive stamp set Doodle Signs in Indian Corn Blue and layered on a white Marquee Enamel Shape. This card went together so quickly. 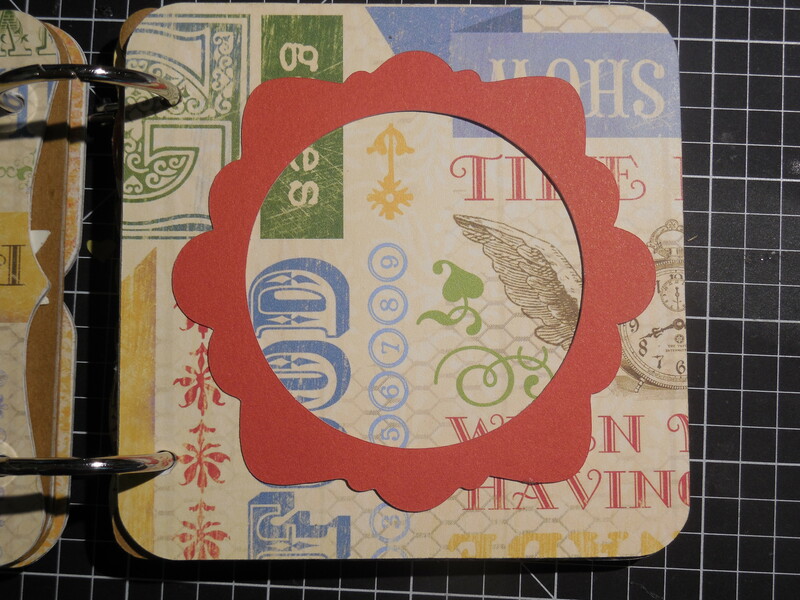 Your next stop on our Everything ABC’S blog Hop is Renee’s Creative Queens. In case you get lost along the way…go to Scrappy Therapy for a complete list of participants! I hope you enjoy your journey through the Letter M and come back soon to see what new artwork I have in store for you! I’m a farm girl…wow, I never thought I’d hear those words roll off my tongue! 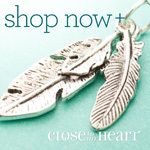 Welcome to the Paper Trail for the month of June where we are featuring the Jubilee papers. If you’ve reached my blog from Amy’s Blog you are on the right path…if you’ve started here that is ok too, just follow the link at the end of the blog and you will sashay over to the next blog. If you encounter a broken link you can always come back here where I have included a list of all the blogs at the bottom of this post. When I spotted the Jubilee papers in the catalog I was thrilled. 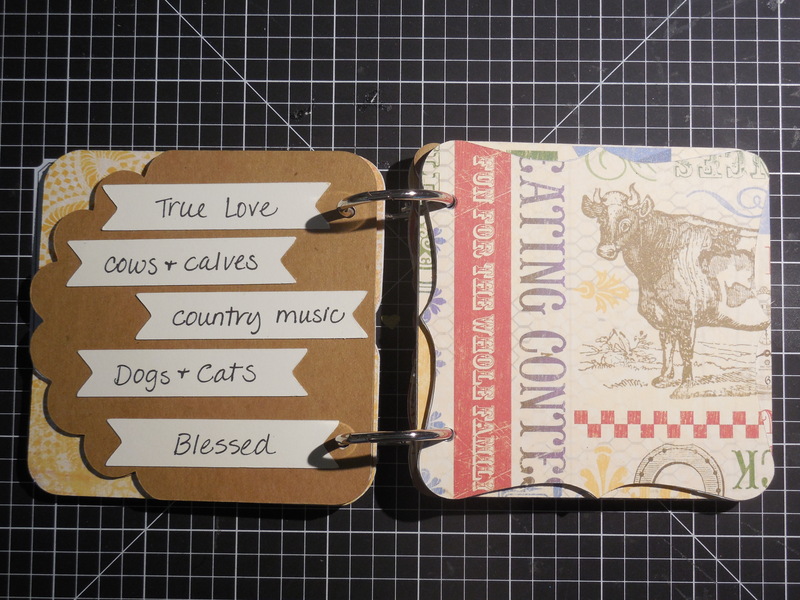 I could think of all kinds of things I wanted to use them for including some of my favorite pictures from around the farm (which I’ve ordered from Studio J, but didn’t allow enough time for shipping) which I put in this little chipboard photo album that was cut with the Cricut. After finishing my Snap Happy mini album a couple of months ago and having the chance to browse through it and relive the special fun I had I decided to make it a priority to capture my memories in little albums. 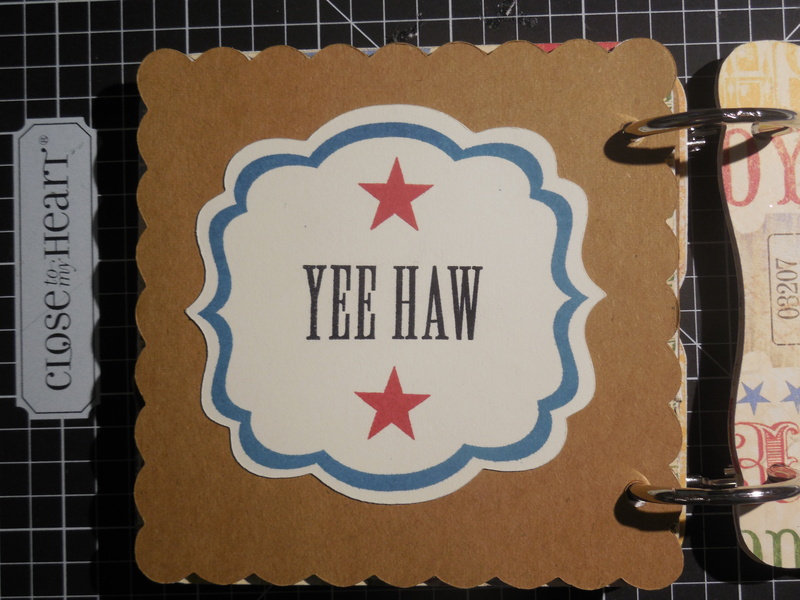 Believe me I will not stop scrapbooking in my favorite 12 X 12 size – as a matter of fact I have another order of Jubilee paper on it’s way to complete some scrapbook pages of our multiple trips to the county fair. The stamp set that I used was an exclusive set that I received when I attended convention in Dallas a few years ago! It was a fun set to finally get some ink on and fits my farm life perfectly. I hope you’ve enjoyed your stop and now you can hop on over to Scrapstories where Connie has some great art waiting for you. I’d love to see how you use Jubilee!